Brittany Sturms is an active 16-year-old girl who loves playing the trumpet in her high school marching band. From the outside, everything looked normal about Brittany. However, in 10th grade she started having some back pain so she went to a chiropractor, who noticed she had a curve in her spine. Brittany was referred to a nearby pediatric hospital for further evaluation. Doctors confirmed that it was scoliosis. Brittany and her family were stunned. “Brittany’s posture looked fairly normal for a teenage girl, so seeing the x-rays of her curved spine, it was shocking,” said Brittany’s mom Natasha Sturms. Brittany and her family were relieved to have a diagnosis, but wish her scoliosis had been caught earlier. “If I knew to have Brittany screened for scoliosis as she grew older, it may have made a difference,” said Natasha. Doctors discussed next steps for Brittany and planning surgery. Natasha and Brittany didn’t feel comfortable with their approach and decided to seek a second opinion. A friend recommended seeing Dr. Michael Albert, MD, at Dayton Children’s Hospital, so Natasha scheduled an appointment. Brittany and her family decided that Dr. Albert would be the best orthopaedic surgeon for her scoliosis surgery. The orthopaedics department worked with Brittany to schedule her surgery in the summer to avoid missing any school. 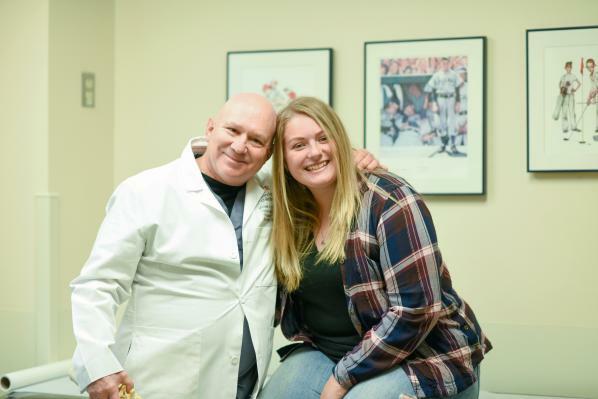 On June 21, 2018, Dr. Albert performed Brittany’s scoliosis surgery. Luckily for Brittany, Dr. Albert is one of the first surgeons in Ohio to use 3D-printed FIREFLY® technology for the treatment of scoliosis. 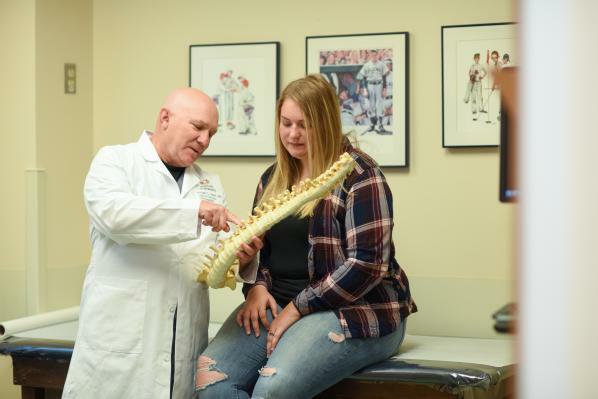 Dr. Albert worked with OrthoPediatrics and Mighty Oak Medical to take scans and create a 3D-printed exact anatomical replica of Brittany’s spine. This replica allowed Dr. Albert to familiarize himself with Brittany’s spine prior to surgery. During the actual fusion, Dr. Albert knew the 3D-printed pedicle screws, which add extra support and strength during a spinal fusion, would fit her spine because they already attached to the 3D printed model. In addition to using FIREFLY technology, Dr. Albert also used BandLoc technology on Brittany’s spine. It is a specialized polyester implant that improves spinal deformity and correction. The technology was pioneered by Dr. Albert and was used in surgery for the first time in the country Dayton Children's Hospital in 2016. A shorter surgery allowed for a quicker recovery for Brittany. By the second day after her surgery, she was walking. On the third day, she was discharged and sent home where she continued to rest. Following surgery, Brittany started physical therapy to build up her strength. Just a month afterwards, she was able to pick up her trumpet again and continue playing in her high school marching band. FIREFLY® Pedicle Screw Navigation Guides allow surgeons to take scans and create a 3D-printed anatomical replica of the deformity and patient-specific guides to improve accuracy of spinal surgery in children. FIREFLY® is produced by Mighty Oak Medical and distributed by OrthoPediatrics. Few pediatric hospitals see as many pediatric patients with scoliosis and other spinal conditions as the spine center at Dayton Children’s. 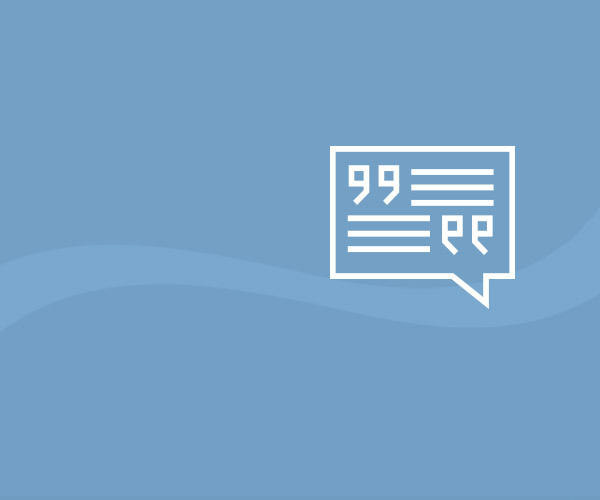 Families outside the region seek this expertise for scoliosis because of the customized care for each child, whether it be non-surgical, minimally invasive or an innovative technology like FIREFLY that helps improve outcomes and patient safety. 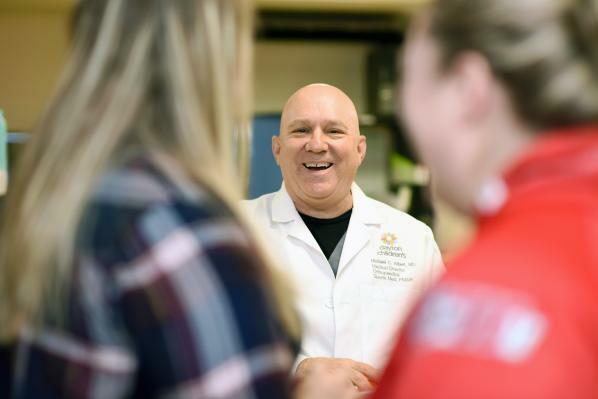 The degree of expertise offered at Dayton Children’s is essential when looking at a complicated surgery that typically lasts from four to six hours. Because the spine is three-dimensional, the surgeon needs to consider the placement of corrective mechanisms very carefully to ensure the best outcome. Affecting more than 100,000 children in the United States each year, scoliosis is the abnormal curvature of the spine. According to the Scoliosis Research Society (SRS), in more than 85 percent of cases a specific cause cannot be found. To catch the symptoms early, Dayton Children’s began its scoliosis school screening program in 2010 and has screened more than 40,000 children with 2,500 referrals for scoliosis. The program targets sixth through eighth graders, but will occasionally screen in other grades as well. In 90 percent of cases, curves are mild and do not require active treatment, but should be monitored for change. In those that require treatment, modern bracing can be used on the majority of them to prevent progression and the need for surgery.